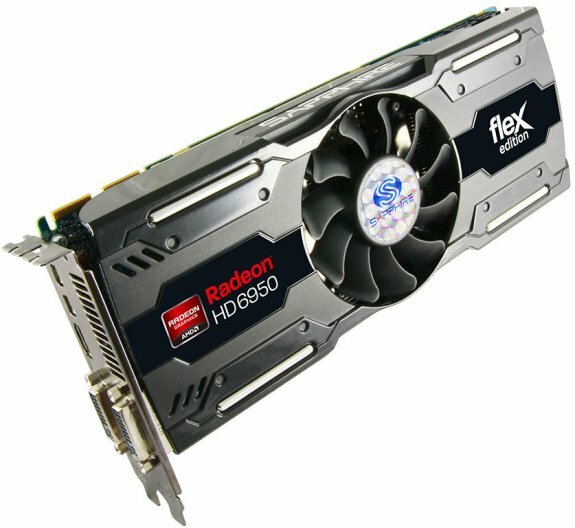 Sapphire will soon release the Radeon HD 6950 Flex Edition, this model features enhanced display connectivity and features a non-reference cooling solution with a central 80mm fan. Called the Sapphire HD 6950 FleX Edition, the card features the same exact display output connector configuration as the reference design (two each of DVI and mini-DisplayPort 1.2, along with HDMI 1.4a), but can run a 5-monitor Eyefinity setup, of which three can run over DVI without needing an active adapter. The package might include a number of dongles and cables to help set up such a display array. Even if not for gaming, Sapphire sees professional applications for such a setup.